Per his military service record (regimental no. 384), Darcy Keating was born at Warren, N.S.W. He gave his age as 21 years and 6 months, his marital status as single, and his occupation as laborer. His description on his medical was height 5 feet 8 inches tall, weight 11 stone 13 lbs., with a fair complexion, grey eyes, and fair hair. His religious denomination was Roman Catholic. He claimed that he had no previous military service. 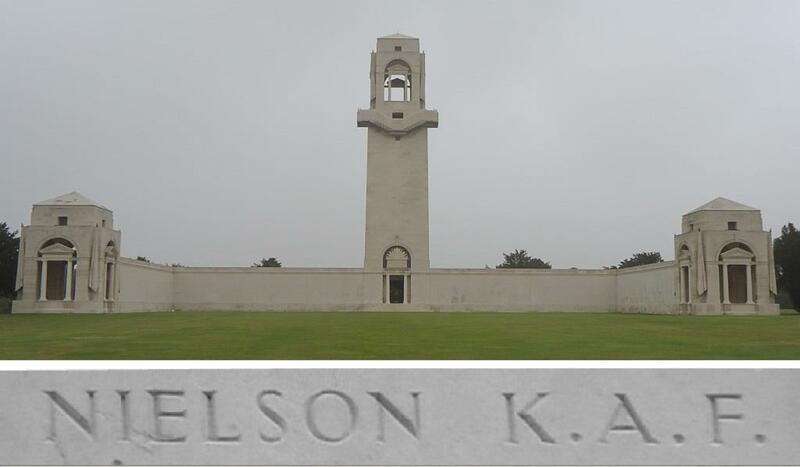 He completed his medical on the 16th October 1915 at Wellington (while the Coo-ees were in Wellington), and was attested at Mumbil on the 19th October 1915 by Captain Nicholas. 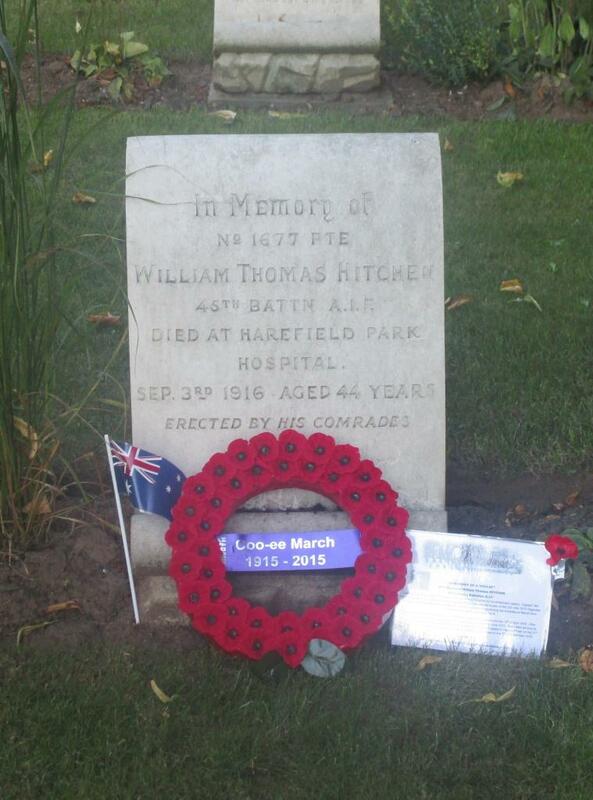 After completing the march he went to Liverpool Camp as reinforcement for the 1st Light Horse Regiment. 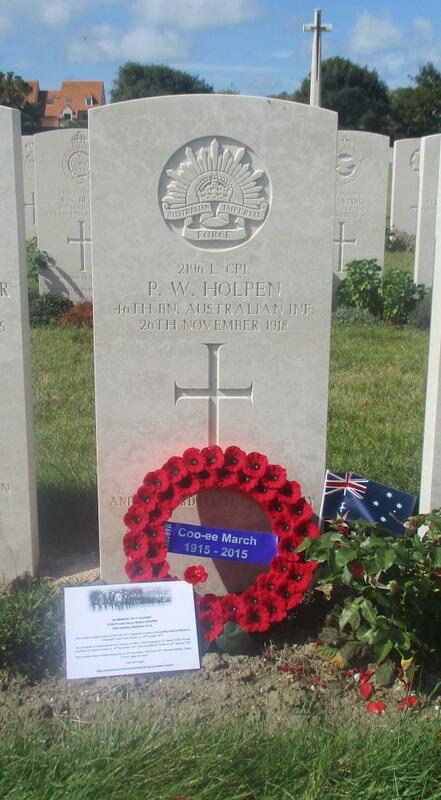 Shortly after he was transferred to the Cyclist Training Battalion as reinforcement for the 1st Anzac Cyclist Battalion. On his embarkation roll his address at time of enrolment was Chester Street, Warren, N.S.W., and his next of kin is listed as father, T. Keating, Chester Street, Warren, N.S.W. 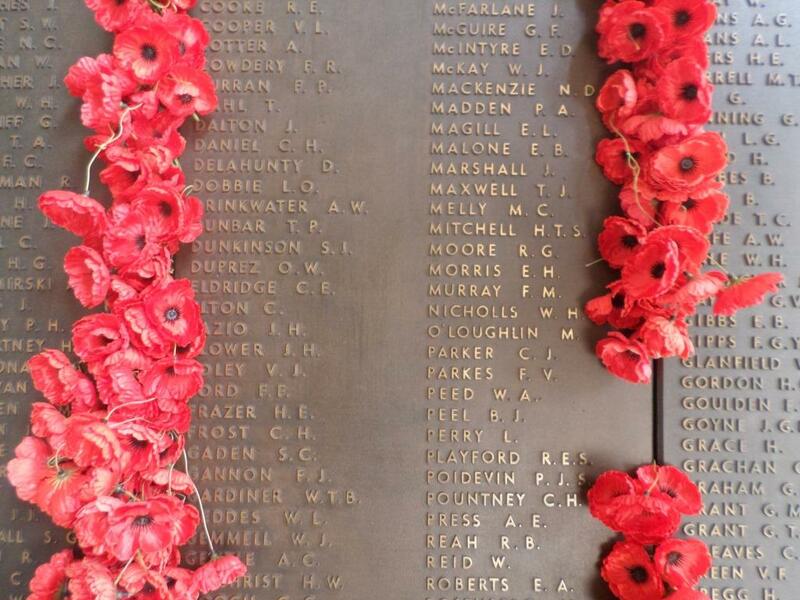 On 3rd May 1916 Private Keating departed Sydney on the HMAT A46 Clan McGillivray, arriving in Egypt on the 13th June 1916. 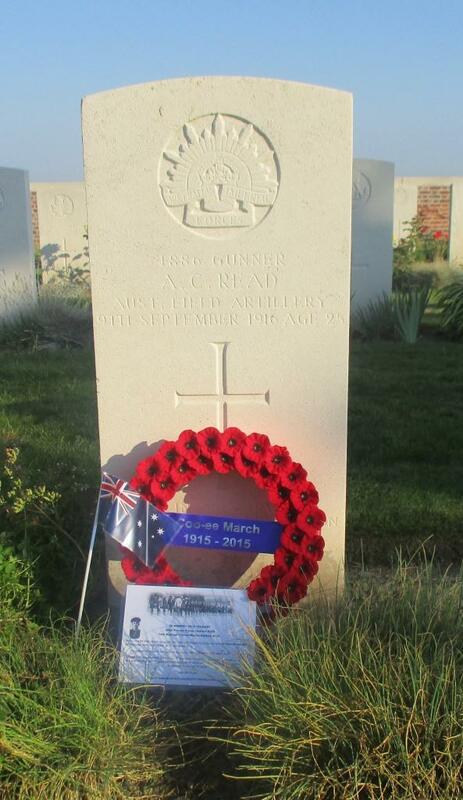 On the 5th July 1916 he was taken on strength of the 1st Division Base Depot at Tel El Kebir. 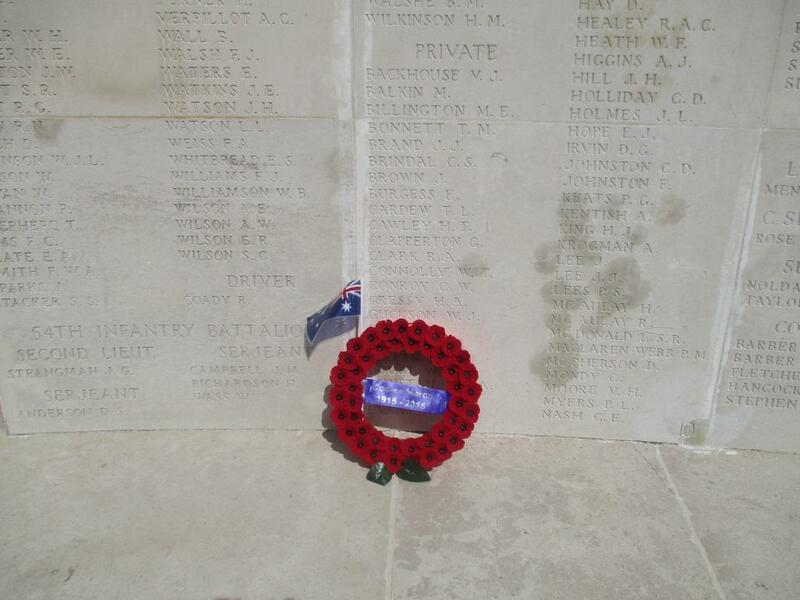 On the 1st August 1916 Private Keating departed Alexandria for England aboard the HMT Lake Manitoba. Private Keating marched into the Pioneer Training Battalion at Parkhouse, England, on the 19th August 1916. 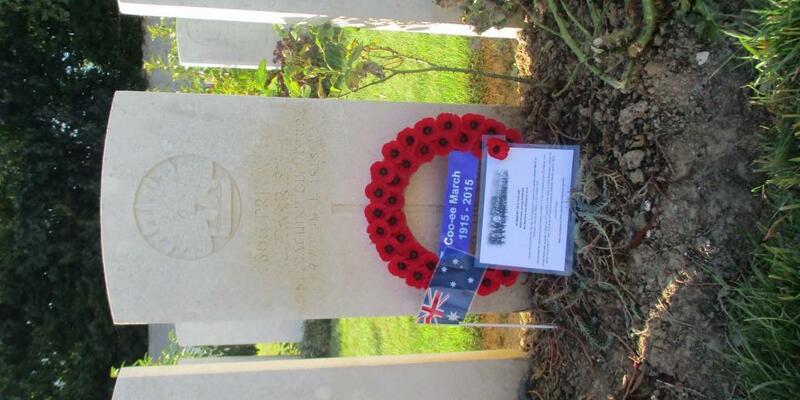 On the 7th September 1916 Private Keating was transferred to the 1st Training Battalion at Perham Downs, England. 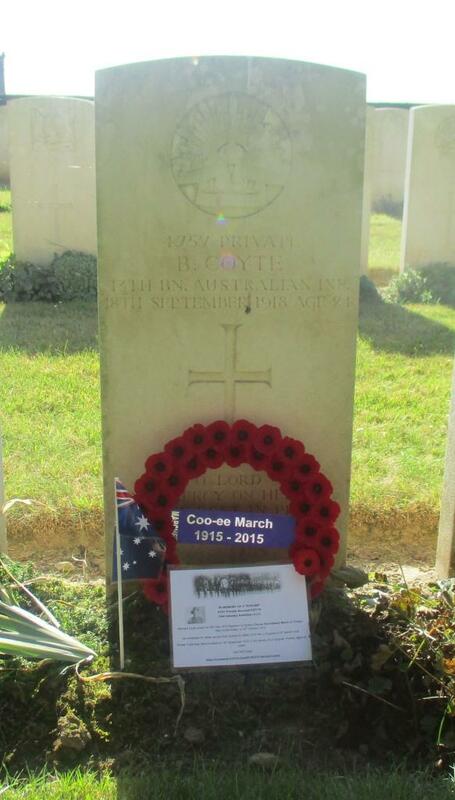 On the 8th of October 1916 Private Keating departed England for France. Private Keating marched into the 1st Division Base Depot at Etaples on the 9th October 1916. 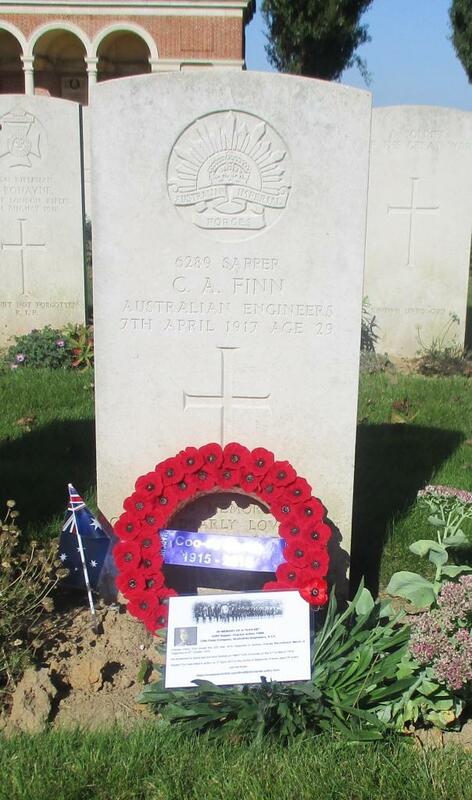 On the 29th October 1916 Private Keating left Etaples to join the 4th Australian Infantry Battalion, marching in on the 5th November 1916 whilst the Battalion was in the trenches at Deville Wood, France. 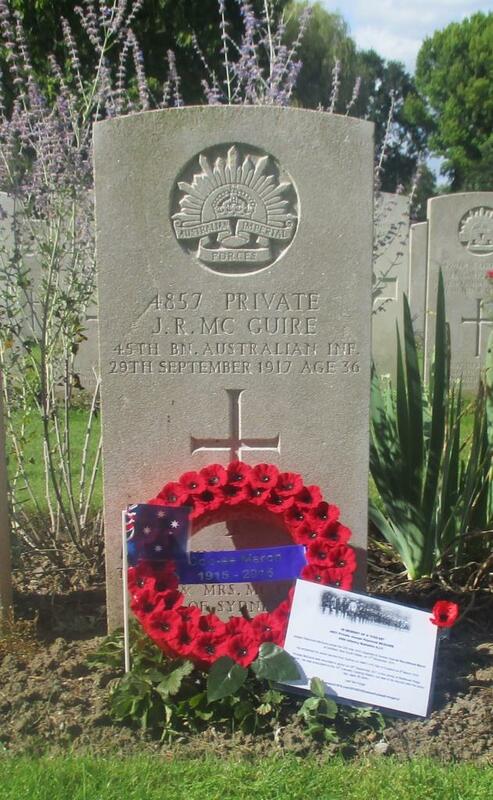 On the 6th May 1917 when the Battalion was engaged in action at Bullecourt, France, Private Keating received a gun shot wound to his neck and left hand. 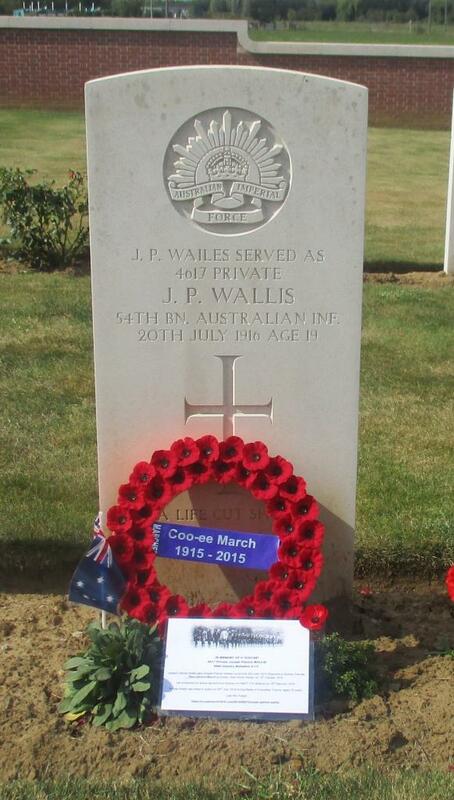 He was evacuated to the 5th Field Ambulance, then on the 7th May he was sent to the 5th Casualty Clearing Station, and on the 8th May he was sent back to the 3rd General Hospital at Le Treport, France. 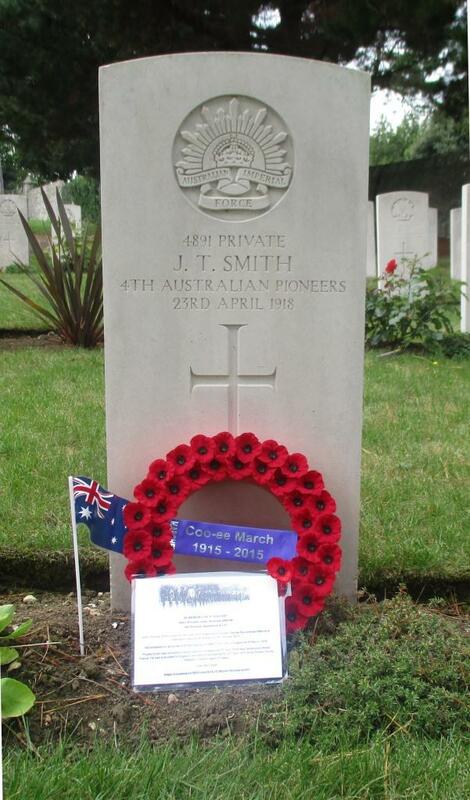 On the 14th May 1916 he was transferred to the 3rd Convalescent Depot. On the 7th May 1916 Private Keating marched into the 1st Division Base Depot. On 21st June 1917 he marched out to rejoin his Battalion, arriving on the 26th June 1917 whilst the 4th Battalion was training at Buire, France. On the 15th July 1917 Private Keating was promoted to Lance Corporal. 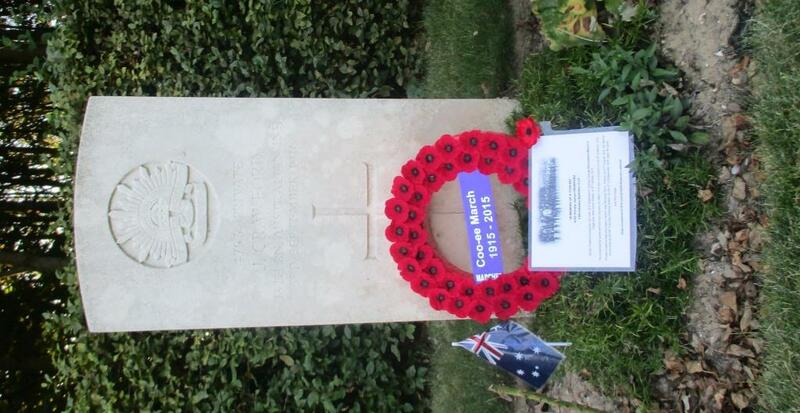 On the 11th September 1917 Lance Corporal Keating was detached from the Battalion for duty with the C.R.E. 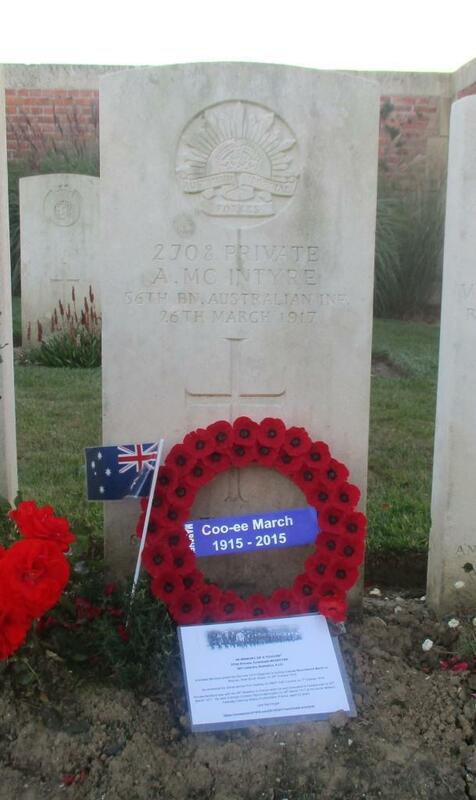 He rejoined the Battalion on the 19th September 1917. 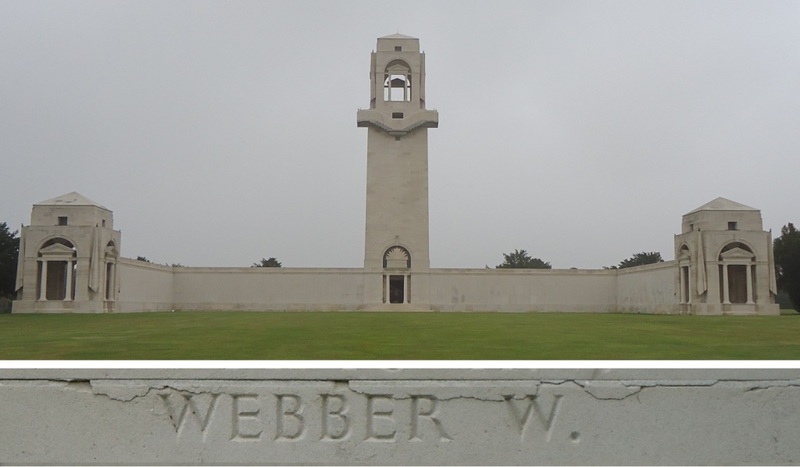 On the 4th October 1917 the Battalion was engaged in an attack at Broodseinde Ridge, Belgium. 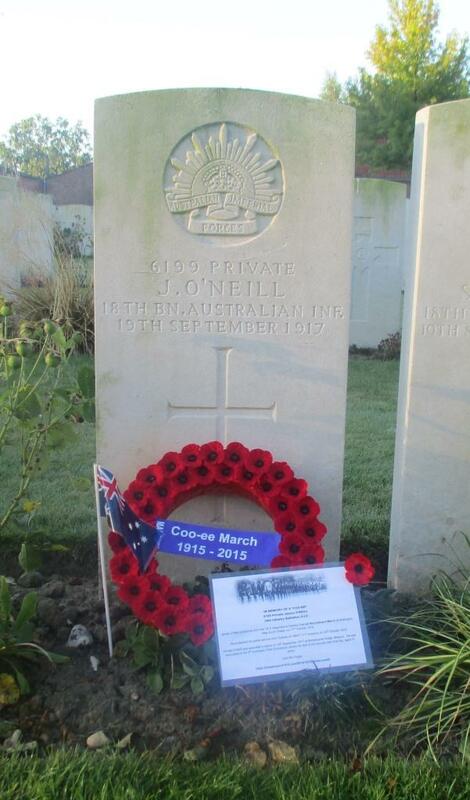 During this battle Lance Corporal Keating went missing in action. 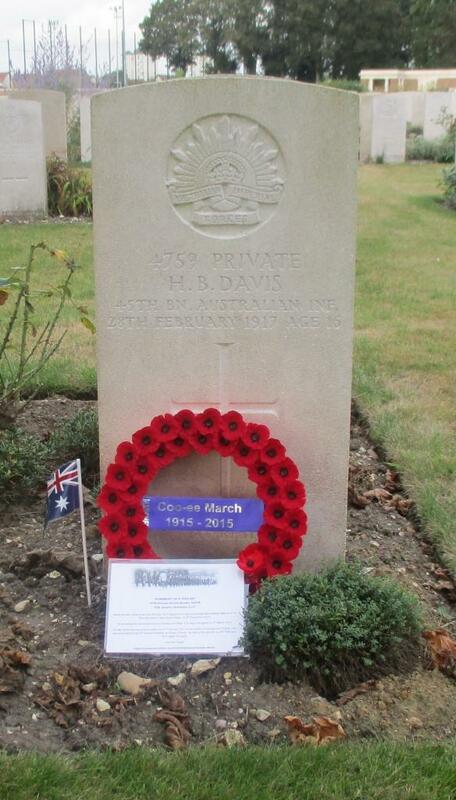 A Court of Enquiry later declared him killed in action, on 16th March 1918. 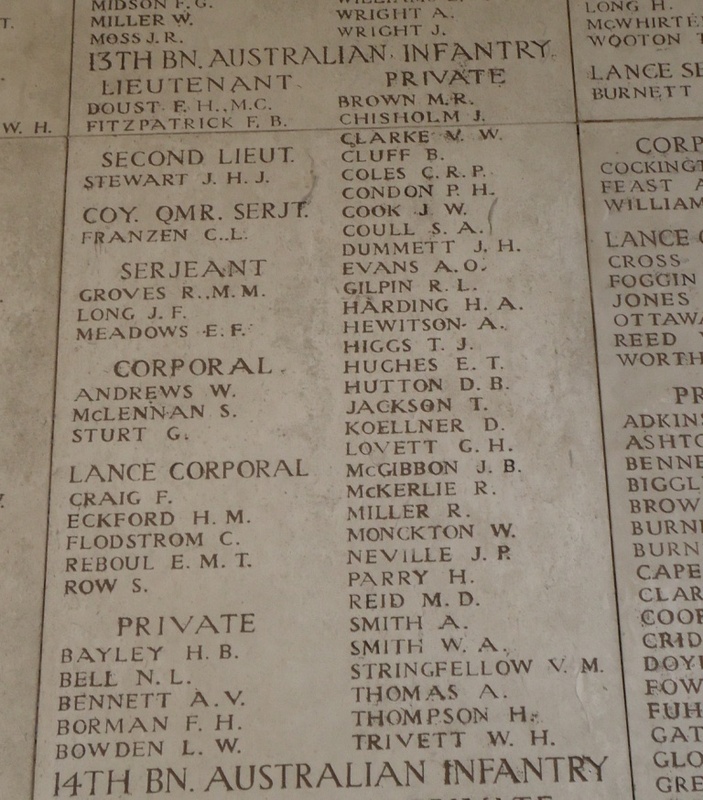 Lance Corporal Keating has no known grave and his name is remembered on the Menin Gate Memorial at Ieper (Ypres), Belgium. 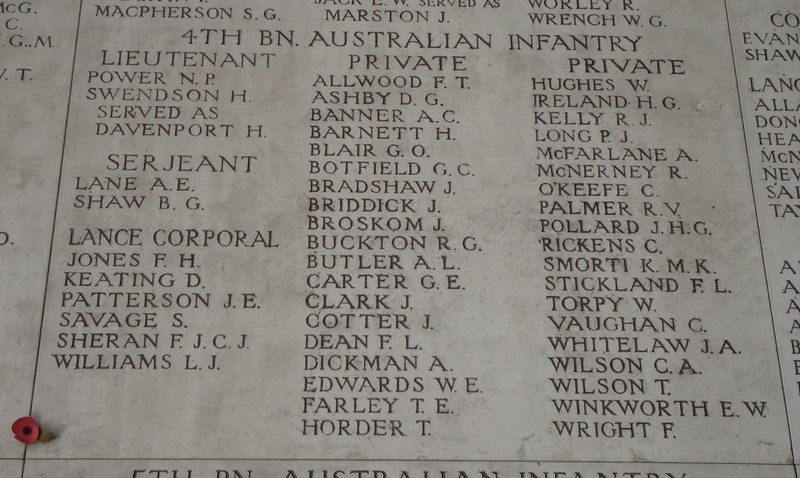 Darcy Keating’s name is also listed on the Warren War Memorial. 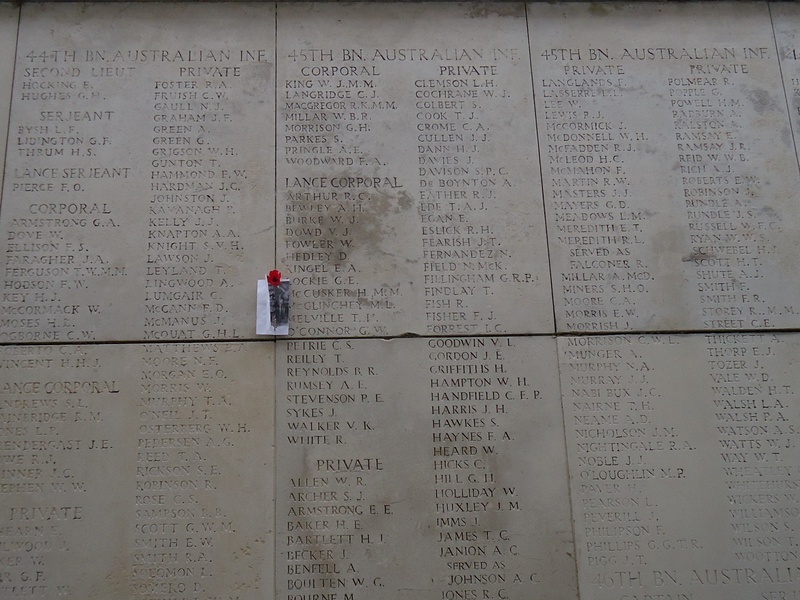 On Thursday evening 28th August 2014 Stephen and I visited the Menin Gate Memorial, which is located on the eastern side of Ypres (now Ieper) in the Province of West Flanders in Belgium, on the road to Menin (Menen) and Courtrai (Kirtrijk). 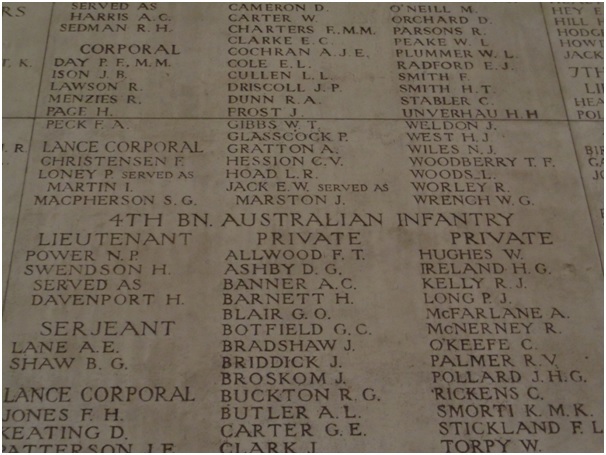 According to the Commonwealth War Graves Commission website http://www.cwgc.org/ the Menin Gate is one of four memorials to the many missing WWI soldiers in the area knows as the Ypres Salient in Belgian Flanders. 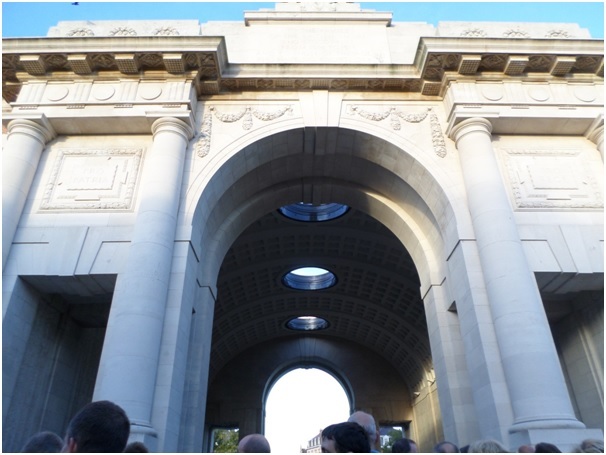 The Menin Gate was chosen as one of these four sites because of the hundreds of thousands of soldiers who passed through the gate on their way to the battlefields. 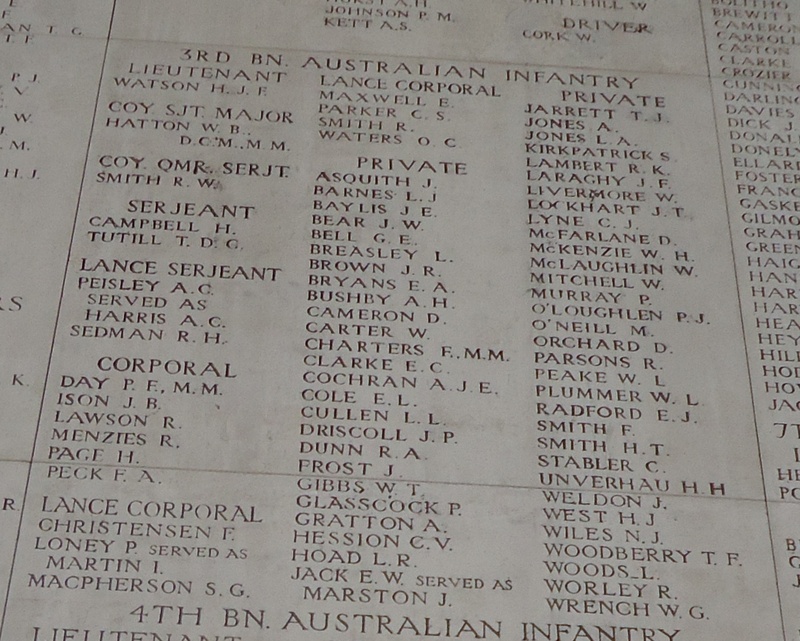 The Menin Gate commemorates those who died from the Australian, Canadian, Indian, South African and United Kingdom forces who died in the Salient with no known grave, and bears more than 54,000 names. 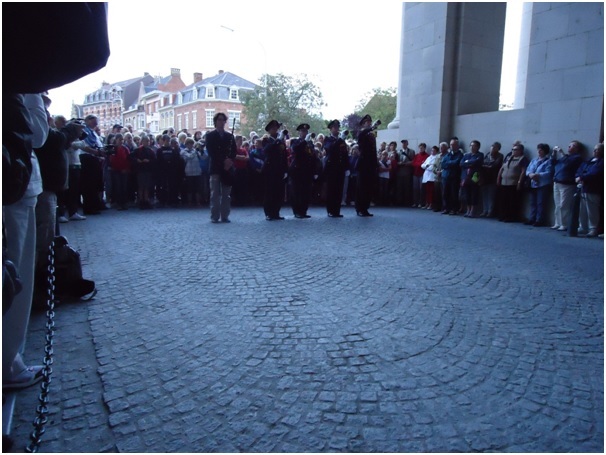 Every night at 8 pm traffic under the Menin Gate is stopped, and members of the local Fire Brigade sound the Last Post as part of a memorial service held on the roadway underneath the arches of the Memorial. 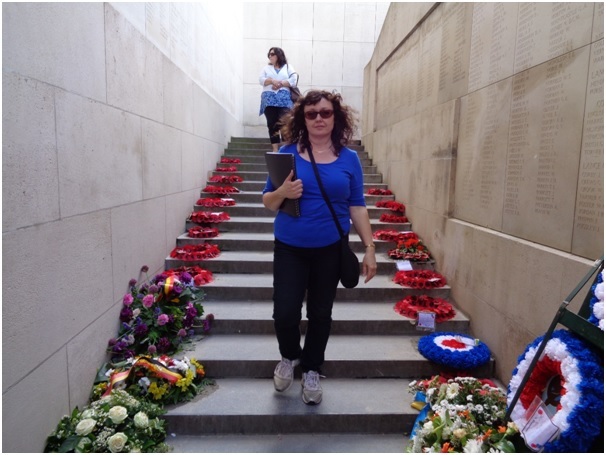 We attended the 8 pm memorial service, but as there was a large crowd we arrived too late to get a good spot to view the service, so the photo I have included below of the service was taken during our 2012 visit to the Menin Gate. Names of fallen soldiers are recorded on all the internal walls listed alphabetically in rank order within their Battalion, including the staircase area on the side. 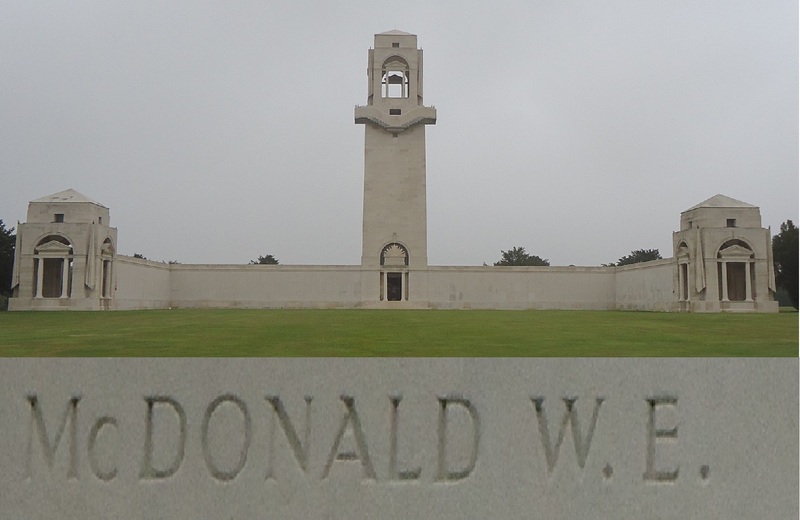 Many wreaths were laid along the walls on the stairs, and in the area under the main arches of the memorial. 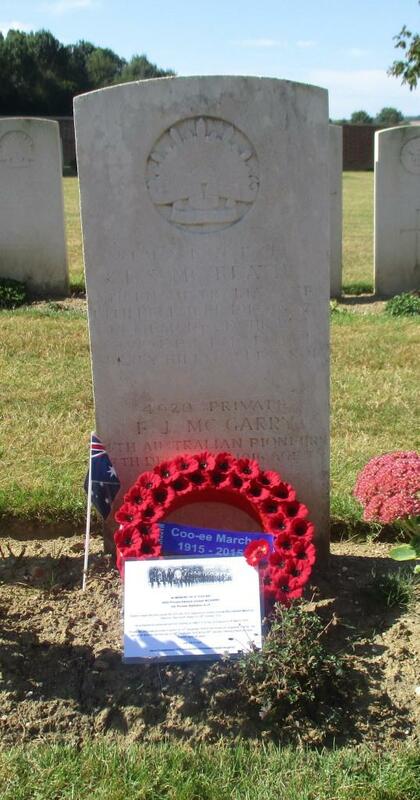 Patrick O’Loughlin, 3rd Battalion, a Parkes recruit who joined the Coo-ees at Molong, then was medically rejected after the march, who rejoined the AIF at Dubbo in 1916. He was killed in action in Belgium on 18th September 1917. 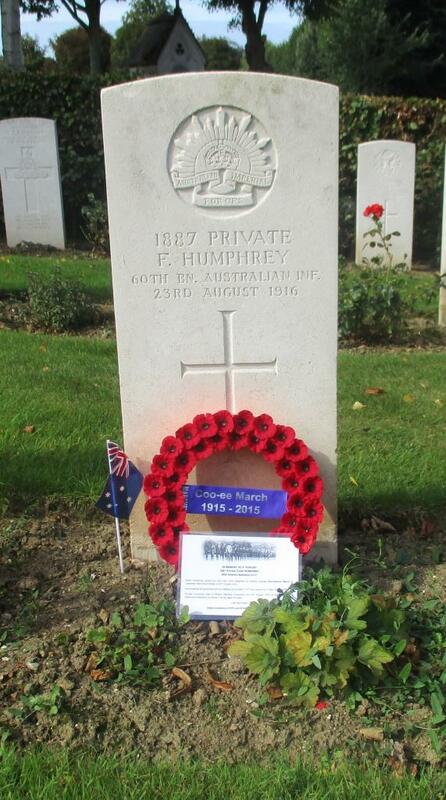 Harry Davenport (Swendson), 4th Battalion, who joined the Coo-ees at Wongarbon. 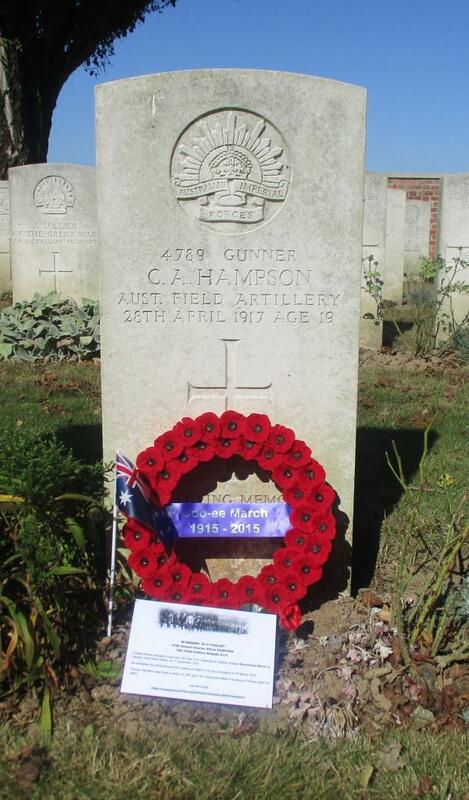 He was killed in action in Belgium on 4th October 1917. 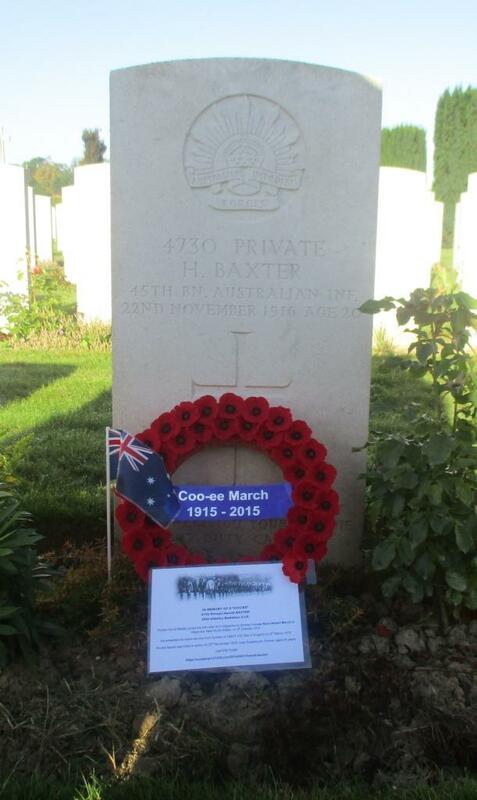 Darcy Keating, 4th Battalion, who joined the Coo-ees at Wellington. 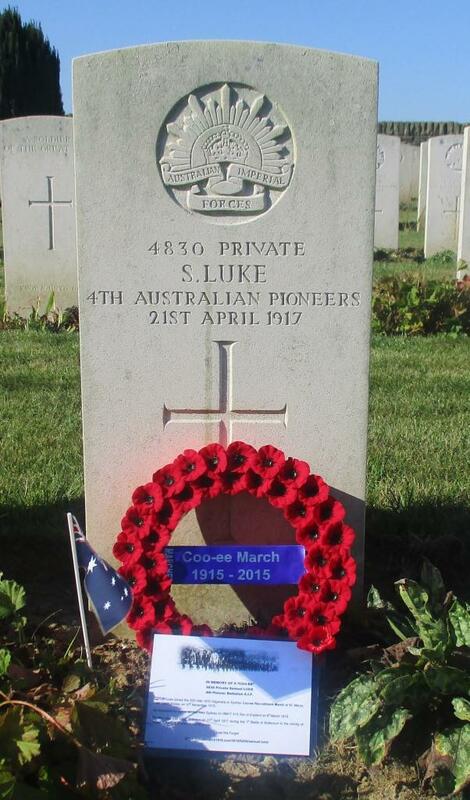 He was killed in action in Belgium on 4th October 1917. 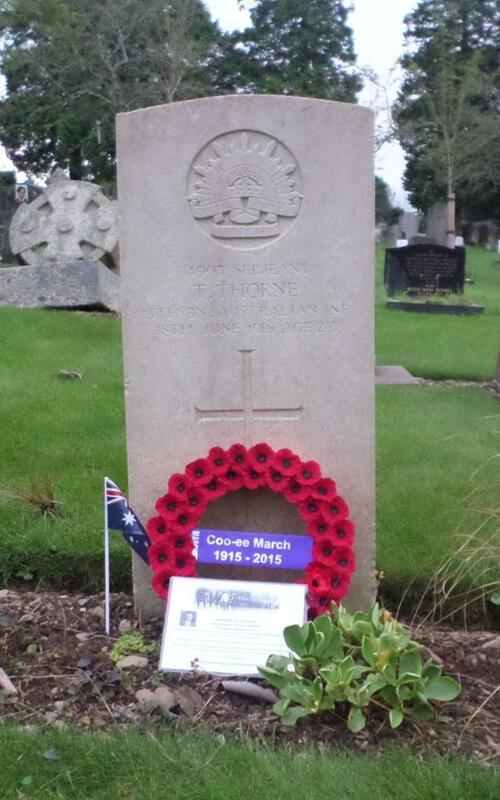 Thomas Jackson, 13th Battalion, who joined the Coo-ees at Geurie. 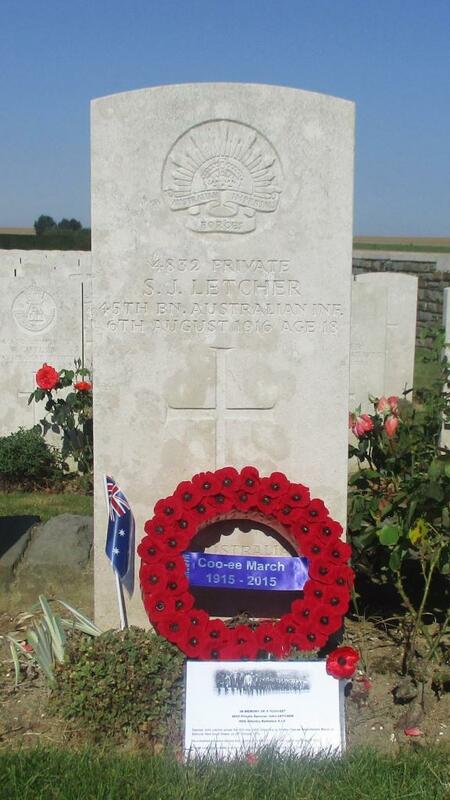 He was killed in action in Belgium on 16th June 1917. 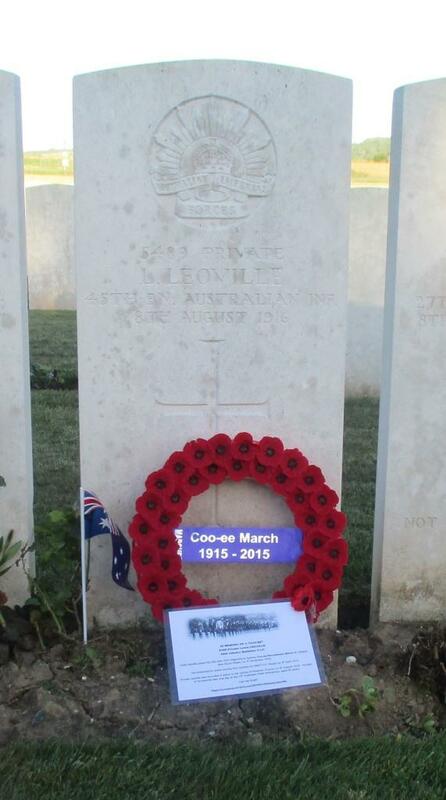 Alan Chester Johnson (Janion), 45th Battalion, who joined the Coo-ees at Wellington. 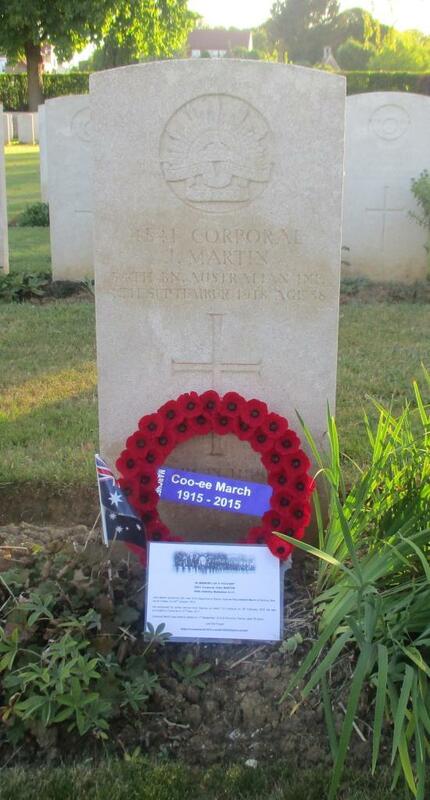 He was killed in action in Belgium on 7th June 1917. 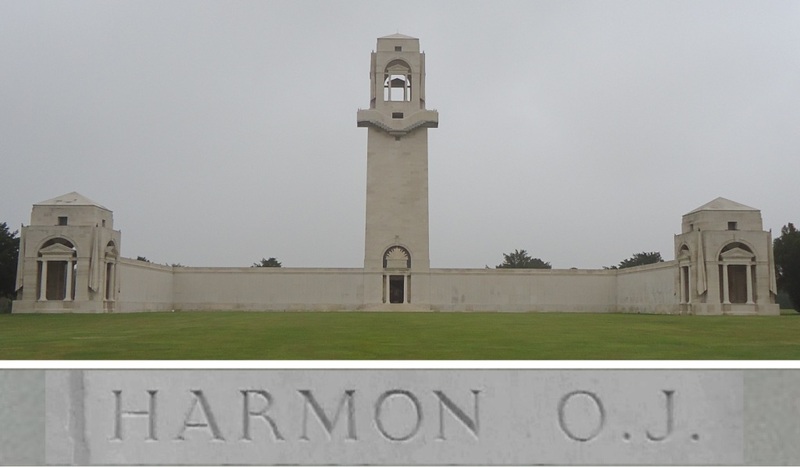 We returned the next day on Friday 29th August to take some more photographs of the names on the memorial (as some areas such as the stairs were not well lit the night before).